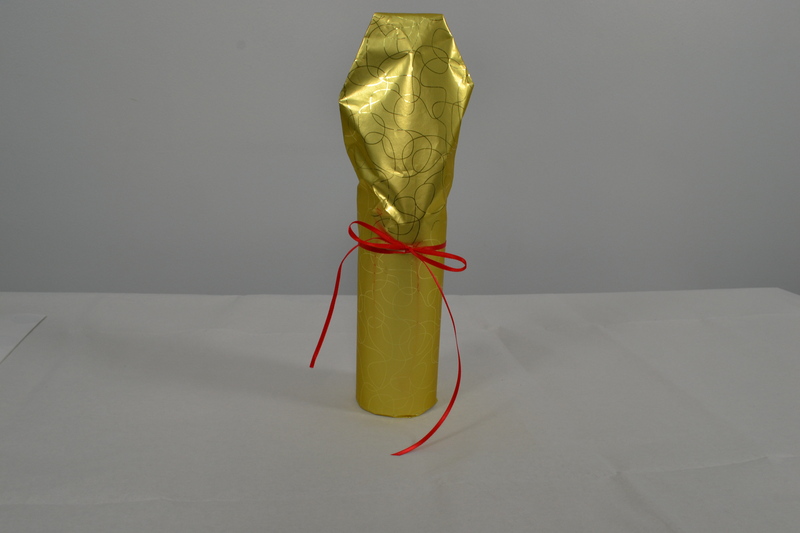 Whether it's a bottle of wine or a decadent bubble bath, wrap bottles in style this festive season. Looking to give your booze-loving friend a nice bottle of their favourite alcohol this year? If you’re stuck on what to get someone this festive season, you simply can’t go wrong with a good bottle of wine or liqueur, although wrapping it is another issue altogether. Sure, you could play it safe with a gift bag and a ribbon round the stem, but why not show off your superior wrapping skills this year using our step-by-step tutorial? 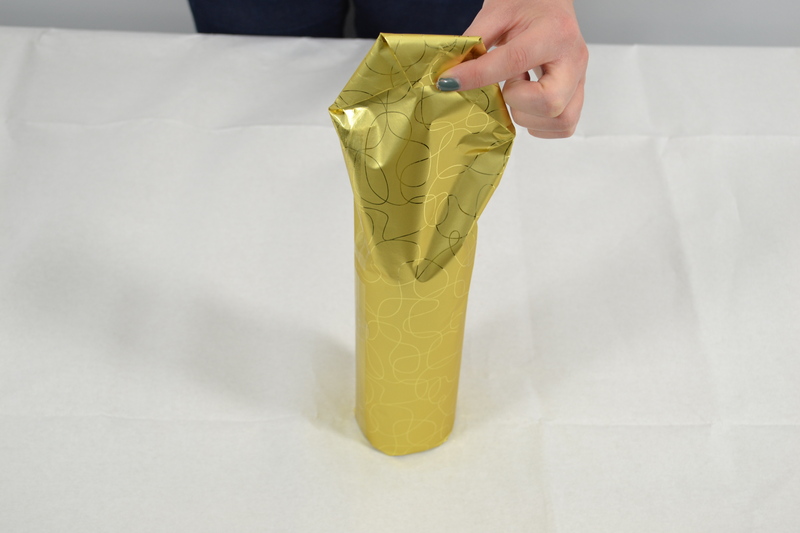 Wrapping bottle-shaped presents has never been so easy! Lie your bottle on its side, sticking the long edge of the paper to the bottle. This means it can’t roll, so you can measure the paper more easily. Wrap the paper around the bottle, cut and stick accordingly. Allow for an extra inch so the paper can overlap, and use a ruler to ensure you’ve cut in a straight line. Secure to the other edge of the paper using sticky tape. Make sure your paper covers each end of the bottle. Trim off any excess, but make sure you have enough to cover each end generously. At the wide end of the bottle, fold in the excess gift wrap towards the middle. 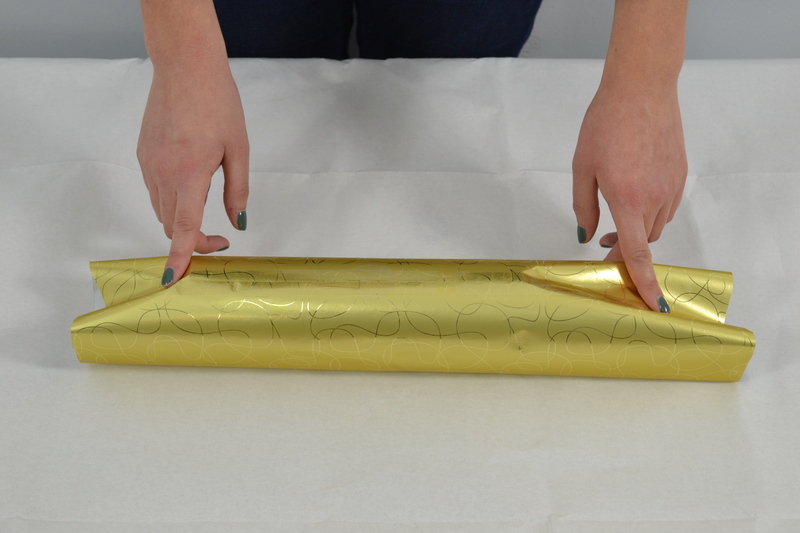 Use one finger to hold the bottom of your wrapping paper in the middle. Using your other hand, run your finger a short width along (approximately 2 cm) and draw that section of wrapping paper towards the middle. Repeat across the bottom of the bottle to create your "fan folds", and secure with sticky tape. 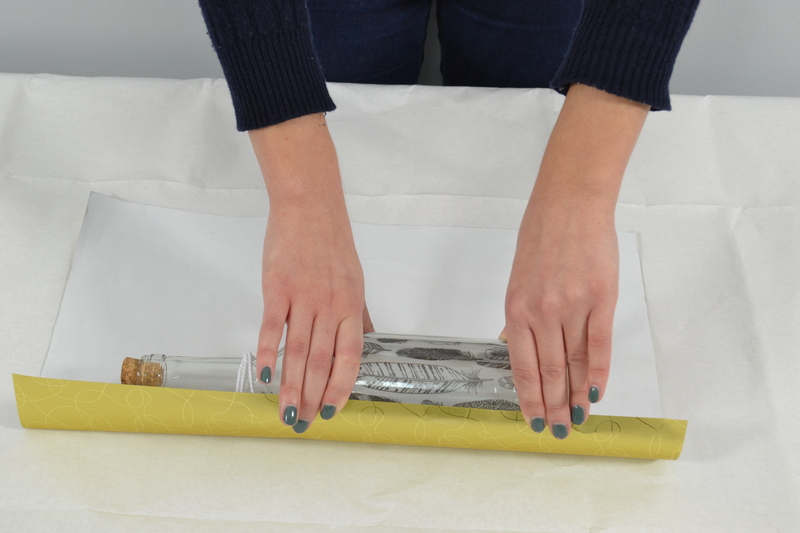 Flatten the excess wrapping paper at the top of the bottle, folding in the edges diagonally. Secure these folded edges with sticky tape. You should now have a triangular flap at the top of your bottle. Fold down the triangular flap and tape. For an optional final touch, tie a festive ribbon around the stem of the bottle in a bow. To help it look neater, tie the bow on the opposite side to where you've folded the top of the wrapping paper down.